It’s a beautiful tree. Its roaming branches draw my eye every time I am near it and always show me something new. A few of the lower branches are just within my reach, bringing me back to the time when climbing a tree was its own justification for movement, an end unto itself. Seems like a long time ago sometimes, before that connection became frivolity. I’ve stared up into the tree many times just watching birds and ants and lizards go about their day. Something as unremarkable as a bird in a tree has a funny way of reminding you how detached we really are from nature and an equally funny way of making you feel a part of it again. It’s almost as though the flora and fauna onto which we have painted and fenced our neighborhoods are trying to tell us something. And sometimes I think they might be laughing at us. If you look closely, you can see how much the tree is struggling. 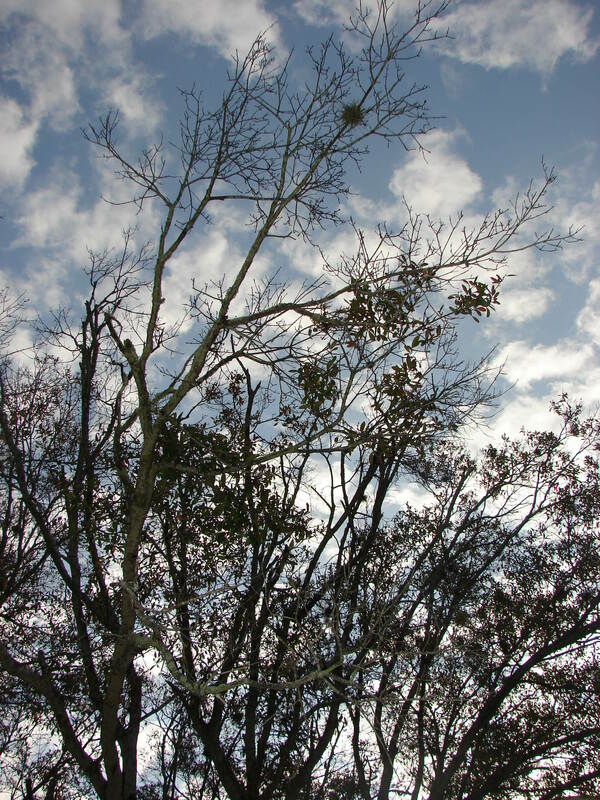 Branches are bare of leaves when they shouldn’t be. Those same branches litter the yard following a stiff wind, providing me with ample kindling for the rare winter nights in Florida when a fireplace isn’t just wasted space in the living room. We’ve taken to calling it the ‘Giving Tree’ as it selflessly provides for our comfort to its own detriment. I guess it’s kind of our way of honoring it and making ourselves feel better about death taking place in our front yard. I feel the same sting of quiet shame watching the tree fade as I do when we all finally choose to revere some once forgotten soul who is now visibly dying. Taken for granted becomes taken into our hearts so quickly, but it never feels graceful. When we bought this house, I think the tree was what first drew us in. At least, that was true for Holly. She has a way of seeing beauty through distraction. I just saw a neglected house, long hours of work and permanency in a place from which I sought to escape. I badly missed seeing the beauty in each. But she helped me see it – as she always does – and we grew here. And in all of it I came to really see the tree. 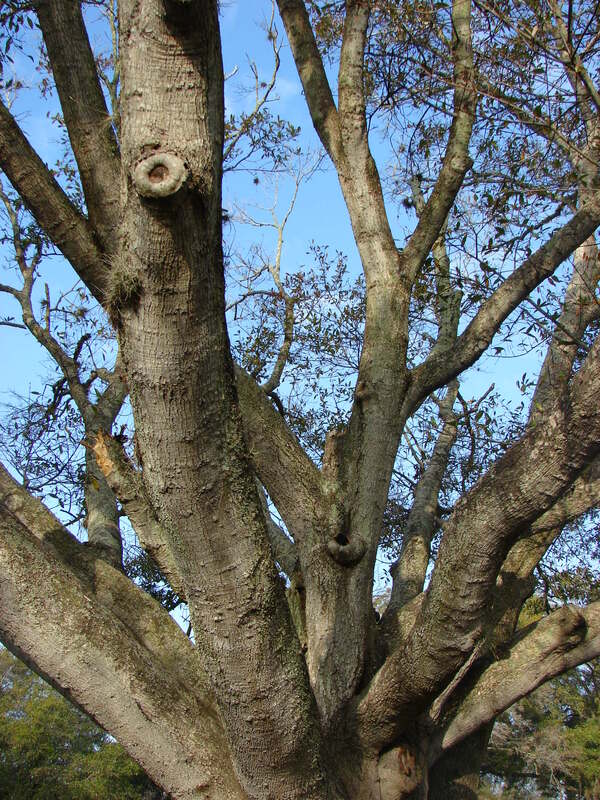 It is a live oak, so I am told, with a multi-trunk, which gives its foundation both character and weakness. (I wonder how many of us that can be said for.) Evidently, such a trunk makes it susceptible to decay and infestation and our tree has succumbed to both. Ants, not us, are the true owners of this giant and their burrowing and the rot that follows are what will ultimately lead to its not too distant end. Regardless of the reason, the tree is fading. Before long it will have to come down. No longer stalwart, the tree will be forced to yield to a future without its presence. I don’t know how old the tree really is, but it feels eternal quietly sitting in temporal suburban sprawl. It doesn’t really matter, though. Age is just a label we put on things. It seems to help us understand them. But there is nothing really to understand about an old tree – that’s not the point. The point is its majesty, its timelessness. Even if that timelessness has an end. We’ve decided to plant a new tree near it this spring, partially for pragmatic reasons but mostly, I think, as a sort of a continuation. The old oak will give way to the sapling and life, in renewed form, will continue. The new tree will find its own way, but only after it is nurtured with patience and intention. Change will come quickly and noticeably before the wisdom of years has a chance to slow its pace and steady its sway. It will witness winds and rains and become stronger. It will grow. Eventually, the old oak will be forgotten just as those of us who often blindly pass under its limbs will. It will be gone and then we will be gone and it will be as if none of us will have ever been here, but for our legacy. The sapling, which then will be the majestic old man, will in part owe its place here to the old tree. 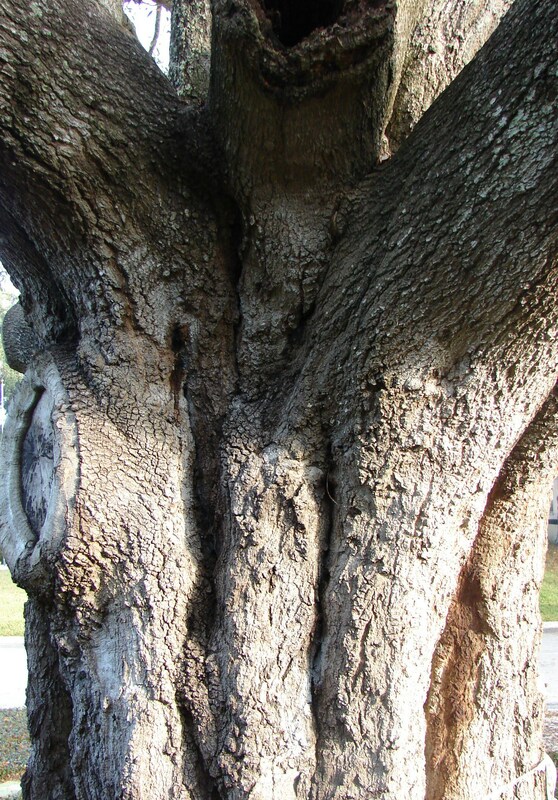 It will branch out in its unique way, it will inspire silence and nurture life of its own, but its roots will have begun in the shade and circumstance of the old oak. The old tree will be gone soon, but it brought to this world beauty that hadn’t been here in exactly the same way before. It allowed peaceful moments and thoughts to exist where they hadn’t before. And it encouraged new life without concern for itself. There is a lot to learn from an old, dying tree. 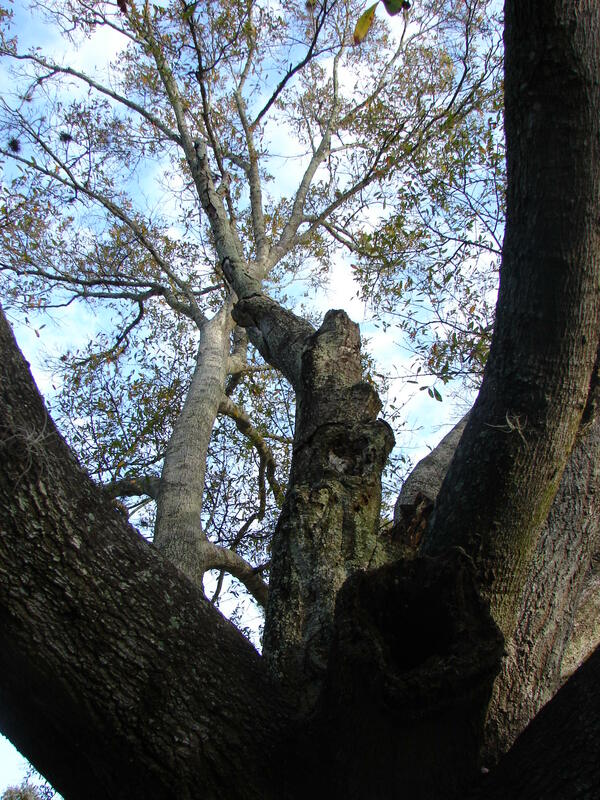 This entry was posted in Uncategorized and tagged giving tree, growing, learning, oak, tree. Bookmark the permalink. Dude – that is beautiful. Thank you for writing and sharing it with the rest of us. Long live all trees and likewise all tree huggers. I admire trees and would be proud to be one in a future life. There are giving trees just as there are giving people, and giving living beings. Not hard to believe or accept. Thanks for your tree and your take on it all. Thank you for always taking a minute of your day and sharing it with me, David. I appreciate your thoughts, sir. So awesome. Beautiful writing and inspiring words. Give that tree a hug from me before it moves on to a new place in nature. Thank you very much, Jim. Coming from you that means a lot to me. Consider it hugged. Memories keep us and trees living for far longer than our actual lives. Well put, Jack. Thanks for taking the time. Thank you, Karen. I’m going to go take a look at yours now. I appreciate you reading. So poignant and beautiful! I love trees and often do meditations with them. Happy New Year! Happy New Year to you, my new friend. Thank you. Thank you so much, Robyn. It makes me very happy that you enjoyed it. I have enjoyed our connection here. Mitch, thanks for continually allowing me to vicariously see the beauty in the world through your words. Looking forward to seeing that tree in person. Until then, my friend. . . Thank You, my friend. Can’t wait to see you. dude, this post rocks. That is one beautiful tree – just like the beauty of old age. As the new tree grows, it will be allowed to develop in its own way, branch out where it may, and reach for the sun. As a father, hell, as a parent, I have a duty to my children to allow them the same freedom. Thanks, Chris. I couldn’t agree more with the use of the word ‘duty’. Thanks for visiting again. Good to hear from you.